One of the oldest spectator sports of all time, Horse Racing has been around since the olden Greek times dating back 648 BC, when chariot, famous horse racing tracks, and horse races formed an important aspect of the Olympics. This sense of antiquity is one of the most important factors in giving the races the kind of regal aura they now possess. It is truly a worthy experience to feel the collective gasp of an audience around you as a leading horse falls short or stumbles, to experience the collective adrenalin surging all around you as people edge closer to the seat, lean in closer to follow the charge of the thoroughbreds as they barrel on towards the finish line. The only way to understand that sense of grandeur and excitement is getting seated at the horse racing tracks. Here is a list of the 10 famous horse racing tracks in the world for you to look at. 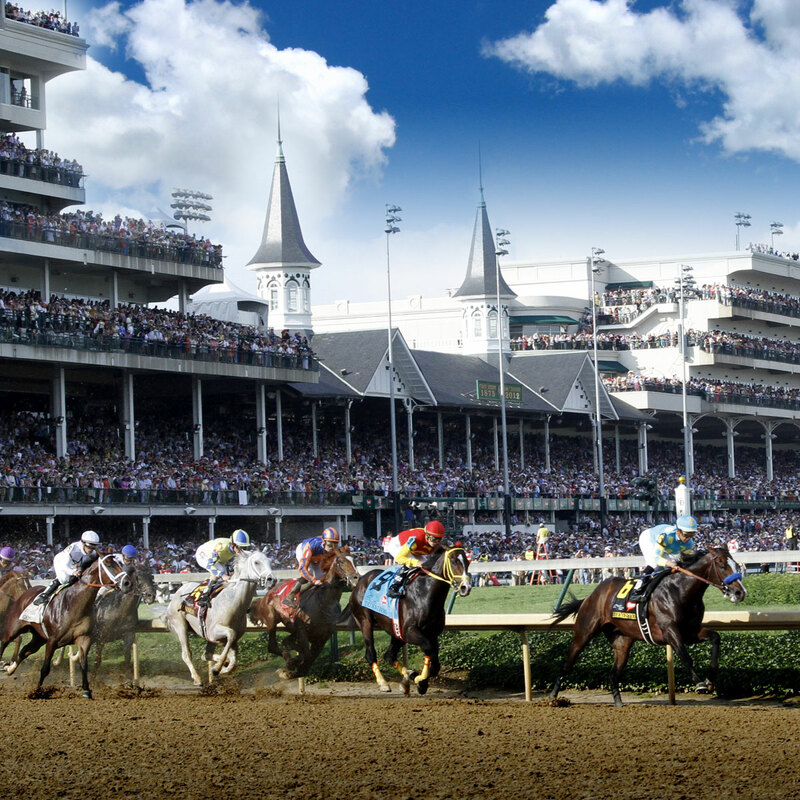 This is home to the Kentucky Derby, which is probably the world’s most popular horse racing event. This venue offers some great choices and features to people as a result of its world recognition. The Turf Club is an exclusive membership club wherein you are able to enjoy the races from one of the best vantage points. It comes with several luxury amenities and gourmet meals as well. The Kentucky Derby also follows a very strict dress code. With the men having to wear collared shirts, dress slacks or khaki pants and women having to wear dress slacks, dresses or skirts. However, this Club membership is pretty steep at $2,350. The Jockey Club Suite is great for families and friends and may cost anything between $350-500.